Discussion in 'US Open Cup' started by newtex, Jan 23, 2018. The 2nd round is May 16. As the first round of the 2018 Lamar Hunt U.S. Open Cup approaches, the Mutiny have their eyes on making history. The rest of the games are on Wednesday. Owen Thornhill and msilverstein47 repped this. Mowtown NPSL has a very good roster of youth and vets (It didn't work for the Mos, damn our slow backline! ) Mowtown should be up for the challenge against the Baby Bulls. Italians vs Bhoys, two solid clubs with great history. Here's the first 2018 update of my ever popular* league ELO rankings. 1. These rankings use all USOC games since 1996 to determine the relative strengths of the leagues. The names used below just represent the current names of leagues at that level. In reality the leagues have changed around a lot, and what is now NASL used to be USL D-1, and the A League before it. Similarly for all the other levels. 2. There are bound to be mistakes back in the history, but the beauty of ELO rankings is that they are self-correcting over time, so the "actual strengths" probably aren't too far off from this right now, even with errors in older competitions. c. Game goes to penalty kicks: goals scored before the penalty kicks. The game is "recorded" as a tie. 4. A home team has its rating raised by 100, and the change in ratings for each of the teams is calculated based on the result of the game, and the relative difference between the two ratings. This means that currently, we would expect an NASL team hosting an MLS team to be slightly in favor of the MLS team, but not significantly so. 5. The average change in score for any individual game is about 7. This means that one league goes up by 7, and the other down by 7. 6. There is no way to account for the fact that many MLS teams play 'B' or 'C' sides in the first few rounds they participate. I can only base it on the teams fielded. As a reminder, I reworked some of the rankings so that USL and NASL would only reflect since the new rebirth of their leagues in 2011. This didn't impact the relative scores by much. I have also dropped NASL from the table, because they have no teams competing this year. If they join a future edition of the tournament, they will keep their existing score. NPSL has indeed done a lot better this year. They have pulled basically even with PDL (maybe slightly ahead, but it's probably too close to be sure). This is all at the expense of USASA, since PDL remained basically where they started the year. It isn't surprising at all, in fact, that USASA was so high for so long is the surprising bit. USASA had been basically on par with, or ahead of, PDL since 2015, and ahead of NPSL basically that whole time. USL joins next round, but because their ratings are far ahead of NPSL and PDL, I wouldn't expect a huge shift in them. Bklyn Royals Fan and Owen Thornhill repped this. Home teams went 16-10 on advancement. That was slightly better than last year's 16-12 outcome. Head-to-head wound up with NPSL teams winning 7 of 12 against the PDL teams. These are irrespective of hosting since there are conditional scenarios. I think these are correct. My recap was correct for pairings. The Cup website updated after round 1. 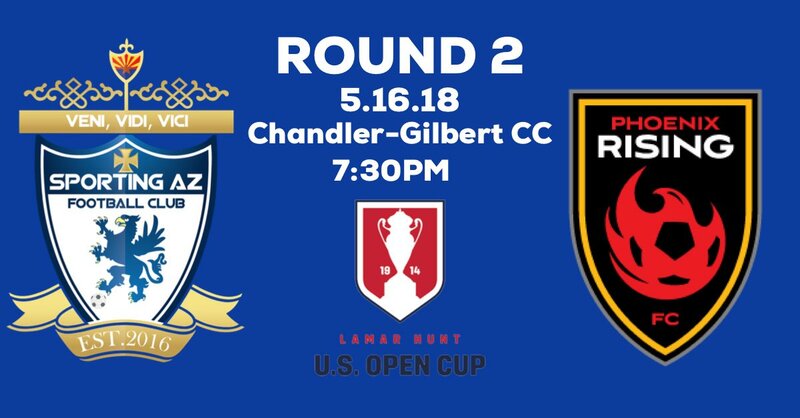 Here is the Match Center for the 2nd Round Open Cup games. There should be streams on this page for the games tonight. I assume that it is safe to post scores here. Detroit FC hanging with Cincinnati. Here is the cincy goal. Wow an amateur team whooping on a pro team. The storm is in full force! The @OCNoreasters get a third and lead the @USL's @CLTIndependence 3-0 at halftime! Here's the 2nd round update for 2018 of my ever popular* league ELO rankings. PDL picks up a good amount of ground on USL, NPSL remains about level, and USASA makes a small recovery. There are a number of high scoring results from this round, and a number of amateur teams still competing, which will keep the next round interesting. Home teams went 14-10 on advancement. Home teams went 30-20 on advancement. The 4th round draw is on May 24 which will add in MLS teams. The 4th round games are on June 6. BUSA Bulldog and msilverstein47 repped this. I was working this game as a beer vendor - they dropped two on us in the opening 5 minutes, got a third just before half-time and never looked back. Congrats to them and I will be pulling for them going forward. Their nickname was apropos for the weather as it was raining and lightning right before kick-off, but they did get the game in, although they were minutes from moving it to the turf field. Also props to the Charlotte fans who applauded the visitors off and were even buying them beers during the game and handing them down to their bench.